Let’s Talk Real Estate Investing Podcasts! I'm so glad you're here! Now you can find all of my podcast episodes in one place, and there are several ways you can listen to the shows. You will see that I have a fancy new podcast player below where you can easily listen to sequential episodes. If you want to see the blog post that goes along each episode, you will find those at the bottom of the page. (Please note that some early episodes were two part episodes put into one blog post, so the numbering system is a little different). 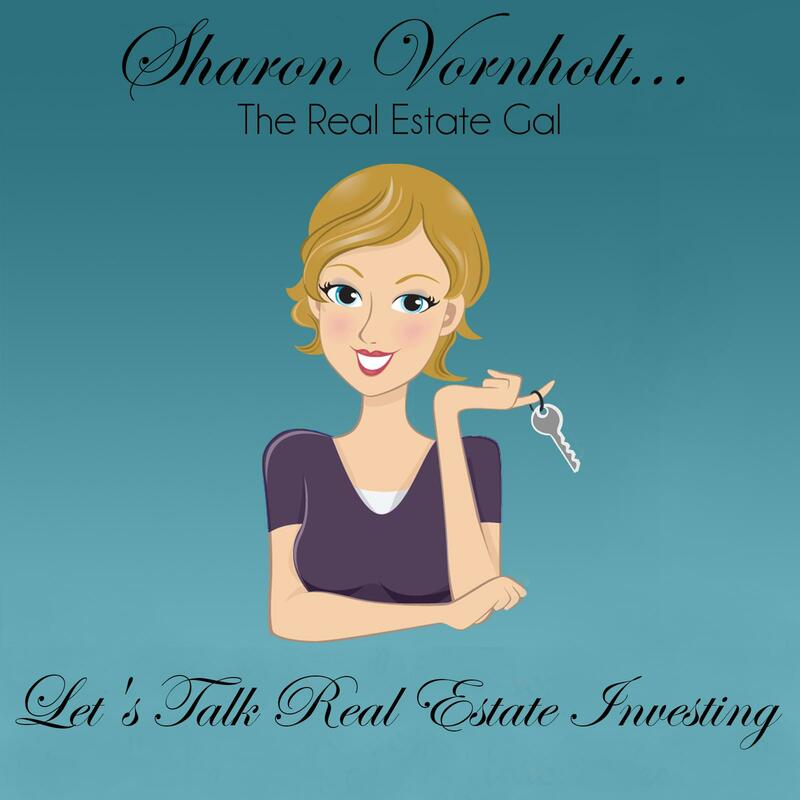 What Can You Expect from Let's Talk Real Estate Investing? I have been fortunate enough to talk so many smart, interesting people in this business. I have done interviews with industry experts from all across the real estate spectrum, as well as experts that support real estate investors in their businesses. There are a wide variety of topics with a one common thread; these shows are all designed to help you grow a successful real estate investing business. One thing all of theses folks have in common is that they were all newbies at one time. So if that is where you happen to be at this moment; stuck in the “Newbie Zone”, I want you to know that we have all been there. We were all newbies at one time. So hang in there, listen and learn. Have an idea for a show? Just let me know. Please show us a little love by SUBSCRIBING, RATING & REVIEWING, and SHARING this show! Thanks so much. You're awesome! You can do that on iTunes by clicking here. You can do that on Stitcher by clicking here. You can listen to and download “Let's Talk Real Estate Investing” right here on this page, or on iTunes at the link below. It's easy to listen to the shows on the go. You can listen on iTunes and leave a review at this link: Click here to go directly to iTunes. Hi again! If you're interested in checking out the individual blog posts with the show notes, you can do that by clicking on each episode below. All two-part episodes will be on one page. Enjoy! Bonus Episode: Wholesaling Houses the Right Way – Danny Johnson interviews me. Episode #92: Success in Probate Investing; What Does Your Mindset Have to do with It? Episode #114: How Do You Set Goals that Get Results? Episode #124: Which is Best? Investing Locally or In Another State? Episode #127: Probate Investing Part 3: Where Do You Start? Episode #131: Feeling Invisible in Your Marketplace? It's Time to Change That. Episode #137: What are the First Steps in the Probate Process after a Death? Episode #143: How Do I Find Time for Marketing? Episode #155: Tips for Compiling Probate Lists- How Far Should You Go Back? If you're not already subscribed to the blog be sure to do that today so you don’t miss any of the business building tips I have coming your way. I want this year to be your best year ever! And if you enjoy these shows please share them. This is great information (and I LOVE that you have a breakdown of all the episodes included). Even though I’ve been working in the real estate investment industry for about something like a year, there’s always a lot more to learn. Personally, I’ve found that SEO seems to be the best route… not sure if it’s a laziness or just a mental block when it comes to traditional marketing. Although expensive, once I found a good SEO consultant, I can rely on the internet outreach for as long as it works. Hi Jake – no doubt that SEO is important. The think about traditional marketing is that it’s the main way and in some cases the only way to get off market deals. I’m having a 2 day seminar on Marketing in Nashville May 19th and 20th. You should come. Investors need 3-5 lead channels or marketing strategies for their businesses. Websites is just one way to get deals (one marketing strategy). You can check it out here: http://reimarketingmastery.com. You really are limiting yourself with just one strategy. I’m a newbie in real estate. I think these are very useful with me. I have recently begun marketing for probate cases in my area and I’m coming across cases that appear to have a surviving spouse, who still lives in the subject property, as the executor of the estate. In your experience, is it better to not send marketing to a spouse? From all the blogs, etc. that I’ve read, this doesn’t seem to be addressed frequently. Thanks! Chris – I don’t market to surviving spouses as part of my probate letter campaigns. What you can do is put them in a generic postcard program that says “I’m looking for property in your area if you know anyone that wants to sell” or something like that. Wait 6-9 months to start sending those. It won’t seem like you are contacting them due to the death of their spouse. Thanks for the great blog on real estate investing. I’m sure some of your readers in NC would find our services useful in selling their home fast. I made a video (on the blog) about list criteria and I have written about that too. Send me an email and I will send you a sample letter. I have a lot of information her on the blog about probates. Sharon, I am new to real estate and am currently looking for a motivated sellers list in Louisville, KY. are there any sites that you recommend. I am finding many paid sites that don’t deliver any potential properties. You have to choose a niche first. Then you get a list which you will have to pay for. Listsource has absentee owners. Hi Sharon, my wife and I had listed our home on prelist.org and now have officially decided we’re serious about selling our home. We’re now just trying to choose the right Real Estate Agent who would be willing to help us. The real question is what are your recommended questions that we could ask the potential agents to make sure we don’t get an inexperienced one? There have been a lot of incidents of mishandling by inexperienced agents. I think you just need to ask them about their experience and get referrals. You can generally tell which ones are top agents. RE/Max only has top agents as a rule. Other companies can be good too. Which podcast would you recommend to listen to on probates? I’m going to focus on this niche. I really like listening to your post casts I learn so much and I respect your opinion. I’m very new to this REI thing. Candice – there is a bonus episode I did between 30 and 31 that is just about probates. Really you should listen to the ones about marketing and making offers too. I will be doing more of the instructional posts myself going forward. I will be sure to include some on probates. Additionally I have written about probate a lot. You can search by topic on the blog homepage. How do you become a guest speaker on your podcast? Kara – I interview industry experts. Hi Sharon-Will you be offering a probate course? I’d be very interested. Thanks! Yes – I plan to Norma. Michael – Contact me after the 1st of the year. Have a great holiday. Sharon-My wife and I are new to REI and have really enjoyed your podcast. Thank you for the work you to do help newbies like us learn the ropes of real estate investing. We are having a small issue with the podcast that we wanted to make sure you were aware of. For some reason the link to subscribe in iTunes isn’t working. When we click the subscribe link it gives us an error message that says that the link is not valid. Just thought we’d pass it along. Thanks again for all that you do! I will check that out Jeremy. When you click the link, it takes you to a podcast page. Then you have to choose a podcast and “listen in iTunes”. Once you are actually in iTunes you can leave a review. I have no idea why it is so difficult to leave a review. When is your probate course? David – I have it scheduled for about 30 days from now. Hi Mike – If you will send me an email I will send you a sample,but the whole group of letters will be in my upcoming probate course. Thanks for reading and listening to the podcast. Where could I find this probate course that you mentioned? I would also be interested in taking a look at these letters. Andrew – I will let you know when the course is released again. The letters are in there. I cannot see any eposodes on itunes. All of the episodes are there. The link doesn’t work. Are they still on iTunes ? Tamara – I checked all the links and they are working. You can listen and/or download the podcast right on the blog page. The link that takes you over to the iTunes is the one that states “you can also listen and download on iTunes…”. I can’t find any links that aren’t working. Trying to subscribe it prompts for a password. How do you get that? Benjamin – It shouldn’t be doing that. Hostgator has been working on the site. Try again today.